Do they play with Legos on the commune? I’m not sure. 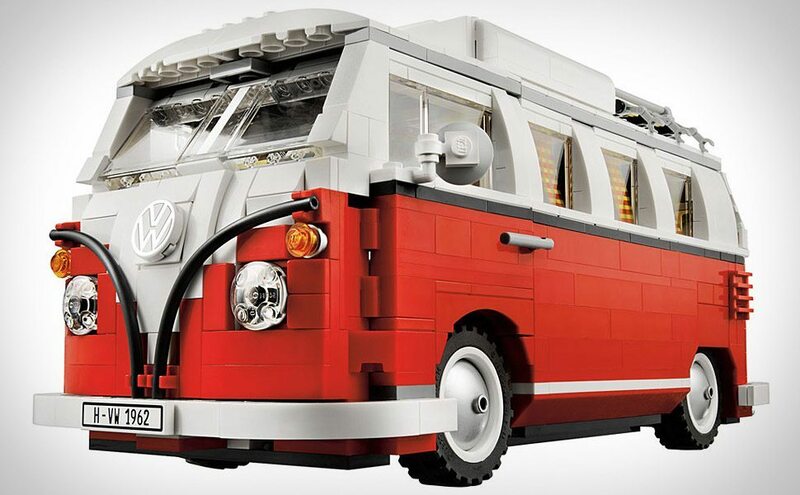 One thing I am sure of, is that you don’t have to be a hippie to love the hippie inspired Lego VW Camper Van ($120). The model is a painstaking recreation of the T1 Camper (hippie van) from 1962. It’s a monster at 1,322-pieces, but that’s because the set includes details like the flat-four VW boxer engine above the rear axle, a pop-up roof, opening doors, a rounded roof and window frames, and an authentic interior including a sink, a bench that converts into a bed, a folding dinette table, an opening cupboard, a commune-inspired color scheme, a lava lamp, and a t-shirt in the window that says “Make Lego models, not war.” Sorry Star Wars fans this is the best Lego model ever made.